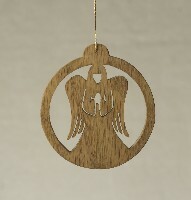 Ornaments : Red Bird Mission Crafts, Hand crafted art. 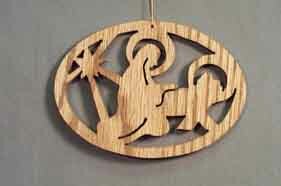 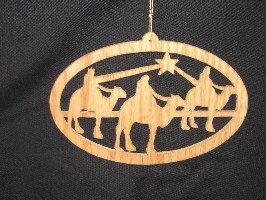 This wooden ornament with a nativity scene was cut-out with a scroll-saw. 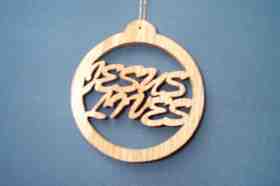 It approximately measures 2.75" round. 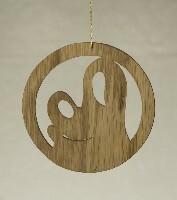 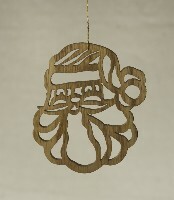 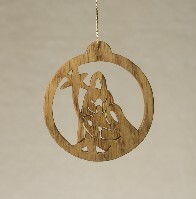 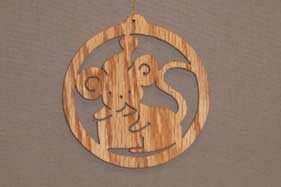 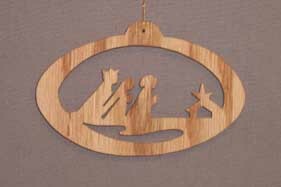 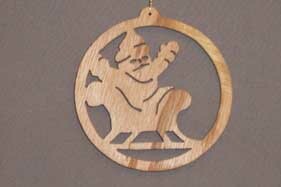 This wooden ornament with a standing Angel in a circle was cut-out with a scroll-saw. 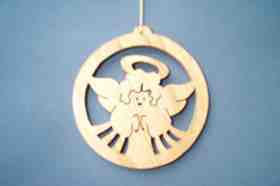 It approximately measures 2.5" round.